This childhood image, part of Sociology 100, was provided by Jensen Bohren of Mississippi. It’s summer. Let’s go to M.U.S.C.L.E. Camp! It’s been a long time since I posted anything. This was too awesome to wait any longer. Thankfully there are also a lot of great emails that come in too. The email from Joe Whiteford might be one of the best emails to ever come in. This childhood image, part of Sociology 100, was provided by Garry of Dayton, Ohio. And there are lots of easy ways to do it! This childhood image, part of Sociology 100, was provided by Tom Veldran of Ridgewood, New Jersey. These photographs are an incredible discovery. None of the pictures feature a child playing with M.U.S.C.L.E. toys; instead the pictures were taken by a child. 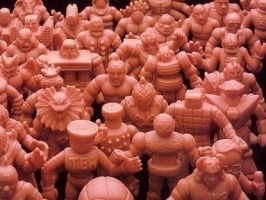 These pictures represent the actual perspective of a child playing with M.U.S.C.L.E. figures. These childhood images, part of Sociology 100, were provided by Ben Pierce of Kitchener, Ontario (Canada). A huge thank to Ben from the entire M.U.S.C.L.E. community. When Mattel launched M.U.S.C.L.E. their focus was clearly on selling M.U.S.C.L.E. figures to children. Over 20 years later those same children can be forgotten. Sociology 100 showcases M.U.S.C.L.E. figures in their original state – as children’s toys. 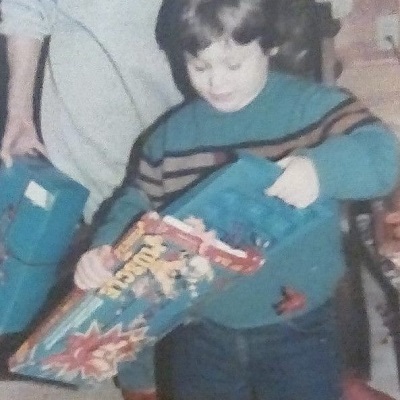 If you would like to submit pictures from your childhood, please email the pictures to the University of M.U.S.C.L.E..